The 7I46 is a six channel SPI breakout. It connects the 50 pin Anything I/O cable to six 10 conductor SPI cables. 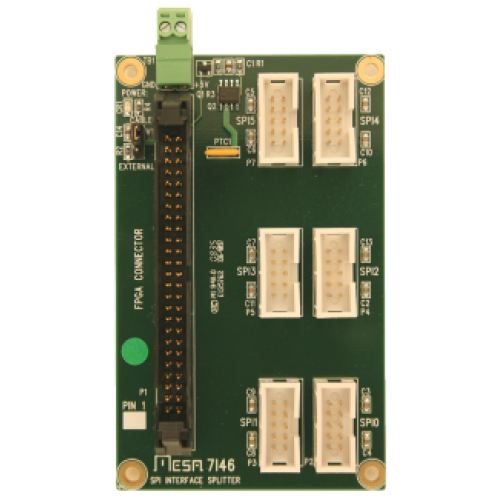 The 7I46 also supplies 5V power to remote SPI devices via the 10 conductor cables. Total power is limited to 3A. A built-in high side power switch disconnects SPI power when cable power is removed, preventing back powering the FPGA card when the PC is powered down.